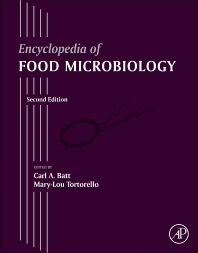 The articles in this key work, heavily illustrated and fully revised since the first edition in 1999, highlight advances in areas such as genomics and food safety to bring users up-to-date on microorganisms in foods. Topics such as DNA sequencing and E. coli are particularly well covered. With lists of further reading to help users explore topics in depth, this resource will enrich scientists at every level in academia and industry, providing fundamental information as well as explaining state-of-the-art scientific discoveries. Academic and professional/industrial microbiologists; industry and public analysts in Food Health and Safety; under-post graduate students, teachers, lecturers in all areas of Food Science (including Nutritionists and Dieticians). What Are Cakes and Pastries? Morphological Considerations: Which Structures Exhibit Phylogenetic Relevance? Definition and General Physiological Properties of Klebsiella spp. MICROFLORA OF THE INTESTINE | Biology of the Enterococcus spp. Why Use CLSM in the Field of Food Microbiology? Annex 2: Visualization of Whole Genome Alignments to Assess Overall Sequence and Organizational Similarity. Taxonomy and Systematics of Pantoea spp. Phenotypic Description, Identification, and Detection of Pantoea spp. Why Are PT Schemes Necessary? Who Organizes and Accredits PT Schemes? What Range of Tests Is Included in PT Schemes? How Do Foodborne Microorganisms Develop Resistance to Processing? Taxonomy, Morphology, and Physiology of Schizosaccharomyces spp. Taxonomy, Morphological Characteristics, and Ecology of Zygosaccharomyces spp. Beneficial Biological Activities of Zygosaccharomyces spp. Recovery, Enumeration, and Identification of Zygosaccharomyces spp. Editor-in-Chief of Academic Press Food Microbiology. Cornell University, Department of Food Science, Ithaca, New York, U.S.A.
Leatherhead Food Research Association, Surrey, U.K.
Department of Food Science and Technology, The University of Reading, Berkshire, U.K.